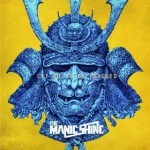 Share the post "Album review: THE MANIC SHINE – Let Go Or Be Dragged"
It’s rare to hear an album crammed full of original ideas, great playing, a subtle production and crossover rock songs with real commercial potential. The aptly named The Manic Shine is a powerful rock band shot through with feverish intensity and counterweighted by melodic grooves and dazzling harmonies. ‘Let Go Or Be Dragged’ is a hard rock album with proggy metal edges, deep grooves, uplifting hooks, intricate guitar parts, nuanced synth fills and a rhythm section that knows the meaning of light and shade. The ‘live in the studio’ album nails all the possibilities their adventurous spirit and Ozzie Rodgers’s solid song writing offers them. They have the riffs, the drive, the unrelenting energy and a locker full of booming hooks that leap out the speakers with startling intensity. ‘Let Go Or Be Dragged’ sounds as if they have honed their material to breaking point, before finally being let loose in the studio to record the music they were destined to make. So it’s a surprise to learn that this is their second album. The contrasting sledgehammer rock and melodic sweeps do indeed sound like the product of a well drilled unit, but it’s rare for a new band to deliver such an eloquent statement of who they are, so early on. Better still, tracks like ‘Leatherface’ show them to be versatile and innovative enough to let their stuttering metal riffs collide with a dancy undertow before a bass led break down. And it’s their ability to successfully integrate cross-genre rock into their songs that sets them apart from the crowd. They also pay due attention to sequencing to pull back and allow the breathing space intro of ‘Libra’, and for every telegraphed riff, or pause leading into the hook, there’s a counter balance to pull them back from cliché. ‘Scattershot’ is one of several examples on which the music evokes the title, and the quiet-to-loud dynamic is offset by layered vocals as part of an imposing wall of sound. The Manic Shine speak to us with a boundless energy, a variety of linked styles full of undulating soundscapes, ripping guitars, staccato rhythms, James Hutchison’s pummelling to lilting bass lines and Ozzie Rodgers’ expressive vocals. Ozzie has that rare ability to alter his phrasing according to the song, as he effortlessly soars above the percolating rhythm section of drummer Tamir Kap and bassist Hutchison. On ‘Use Your Horizon’, he adds drone like phrasing which pushes him closer to Liam Gallagher, while both ‘Avarice’ and ‘Weightless’ – the band’s current download video – owes much to Zeppelin and Rush in their creative use of dynamics. ‘Weightless’ also makes the best possible use of a shred led resolution on one of the album highlights. ‘Fiendish Means’ further explores the expansive possibilities of both Orren Karp’s tightly wrapped rhythm guitar work and the band’s layered sounds. And while the song doesn’t quite lead to the expected finale to match Ozzie’s enveloping vocals, the band subsequently steps up to the mark on ‘Siren’, which builds up to a staccato finish worthy of topping a fine album. This entry was posted in ALBUM REVIEWS, ALBUM REVIEWS (Mobile), All Posts and tagged classic rock, electro, hard rock, James Hutchison, Led Zeppelin, Let Go Or Be Dragged, Liam Gallagher, metal, Orren Karp, Ozzie Rodgers, prog, review, rock, Rush, Tamir Kap, The Manic Shine. Bookmark the permalink.